Every human body has a pair of kidneys located in the upper abdominal area, one on either side of the spine. 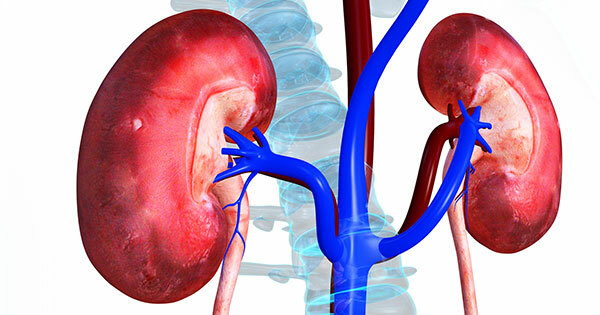 Both the kidneys are responsible for filtering and eliminating waste products generated in the body. The primary objective behind the removal of waste products through urine is to keep your bones healthy and blood pressure stable. There are several reasons and factors that may result in kidney problems, although the exact reason is difficult to diagnose in most of the cases. With age, kidneys tend to become vulnerable and there may be an associated loss of functionality and support. Sometimes, certain medical conditions such as high blood pressure, diabetes, and family history of kidney failure or long-term use of any particular prescription medicine deteriorate the condition of the kidneys. In most cases, it is difficult to recognize mild kidney problems as they usually do not cause any severe symptoms or stop the kidneys from working. This type of mild impairment can worsen in only a handful of people that and it may warrant the need of an immediate treatment. It should, however, be remembered that any type of kidney problem, mild or severe, is referred to as “chronic kidney disease” these days. Some medical professionals argue that deteriorating kidney performance is not a disease, but a condition that puts the human body at a higher risk of developing other health problems. It is important to take care of your kidneys before it gets too late. You can follow a few significant steps at every stage of your life to ensure that your kidney conditions are healthy. This article describes seven practices that can help you keep your kidneys healthy. Read How to Prepare For a Kidney Transplant? It is always a good idea to drink a sufficient amount of water throughout the day to keep your body hydrated. However, anything excess in your body can produce a reverse effect that can actually worsen your condition. Therefore, drinking more than the typical six to eight glasses of water (2 litres) would not make your kidney do its job better. Over-hydration is bad, but keeping your body adequately hydrated is important. To keep the health of your kidney in check, you must take a proper, nutritious diet and exercise regularly. Exercising helps avoid weight gain, which can otherwise make kidneys work excessively. In addition, hypertension can be kept in check with the help of a disciplined lifestyle. However, you should not exhaust yourself by exercising excessively and put strain on your kidneys. It is better if you consult a health care provider and then choose exercises that help keep the kidneys healthy. Although kidneys can tolerate an array of food products, it is advisable to follow a moderate and healthy eating habit clubbed with a disciplined lifestyle. Extreme conditions like diabetes and high blood pressure can cause serious kidney problems. Therefore, you should pay particular attention to the food you eat and the lifestyle you follow. If you are a diabetic or suffer from hypertension, avoid having sugary and salty foods. In addition, food items rich in animal proteins such as red meat may harm the kidneys. You should give up on such foods, in addition to soda and processed food items. Instead, incorporate fresh fruits and vegetables in your diet, including garlic, cauliflower, onions, apples, cranberries, red bell peppers and blueberries. Do you know that excessive smoking can damage your blood vessels and can gradually slow down the flow of blood in the kidneys? The kidneys do not function at optimum levels if they experience inadequate blood flow. Smoking may even cause kidney cancer, in addition to high blood pressure. Before taking any vitamin supplements and herbal extracts, it is advisable to talk to your doctor first about the herbs and vitamins that you want to take. This is because herbal surplus in your body can have negative effects on different organs, and kidneys are one of them. If you have high blood pressure or diabetes or both of these conditions, then choose a physician who can conduct kidney screening for kidney dysfunction as a part of your preventive health check-up. Kidney function screening helps identify any potential problems with kidney functioning in advance and allows the doctors to take steps accordingly. Several non-prescription pills and commonly available over-the-counter (OTC) medicines such as Naproxen and Ibuprofen can trigger kidney problems. Such medicines can particularly pose a problem in case these are taken regularly for a certain period of time. Before taking the medicines for arthritis or chronic pains, or any other OTC pills, consult with your doctor. A healthy life is a blessing. Enjoy it thoroughly with the above-mentioned precautions for healthy kidneys and a good life. Find and compare Best Hospitals For Kidney Transplant. Get FREE second opinions from medical experts to select the Best Doctors For Kidney Transplant.